Although gas can lead to gas pain, it is important to remember that gas is often normal, especially in newborns and infants. Signs and symptoms that your child may have more than just simple 'baby gas' include that he is often fussy, has loose or foul-smelling stools, has difficulty feeding, isn't sleeping well, or cries for long periods of time when he has gas. When faced with gas, parents of babies who drink baby formula often make a formula switch at the first sign that their baby is having any gas pain. This is often unnecessary and is likely prompted by all of the cans of formula that has been 'designed' and marketed for babies with gas. While changing from a milk-based, iron-fortified formula is sometimes recommended, it is necessary much less often than most parents realize. For example, congenital lactase deficiency, in which babies can't digest the milk sugar lactose when they are born, is thought to be extremely rare. And since older children don't usually develop symptoms of a lactose intolerance until they are four or five years old, changing your baby to a lactose-free formula is often unnecessary. However, your baby might temporarily need a lactose-free formula, such as if he recently had a viral infection that caused severe diarrhea, such as rotavirus. Unlike lactose intolerances, newborns and infants can have true milk protein allergies. In this case, changing to a soy formula would likely seem to be a good idea. But since many of these babies can also have a soy allergy, an elemental formula, such as Nutramigen or Alimentum, is usually a better choice. Keep in mind that infants with milk and soy allergies will usually have more symptoms than just gas, including diarrhea, vomiting, hives, wheezing, bloody stools, and/or irritability. As with a formula-fed infant, breastfeeding moms should usually only consider gas a true issue if it is excessive or accompanied by other symptoms. Before restricting your diet too much when your breastfed baby has gas, consider eliminating all milk and dairy products from your diet for a week or so. If this helps your baby's symptoms, then he may have a milk protein intolerance (allergic colitis), and the milk proteins from your diet that are passing into your breast milk could be causing a problem. However, that isn't a reason to stop breastfeeding. Breastfeeding mothers could also avoid a few other true 'gassy' foods. Or just temporarily avoid those things that really seem to cause your child to have a lot of gas. If you have a foremilk/hindmilk imbalance, in which you time your breastfeedings and don't let your baby nurse until he is finished on one side, then he may have gas because he is getting too much 'sugary' foremilk. Your baby may have less gas if he breastfeeds until he is finished on each side and gets more hindmilk, which has more fat and less sugar. Although it can also be normal, older children with gas can have a medical condition causing their gas, including a lactose intolerance, irritable bowel syndrome, malabsorption, or celiac disease. Fortunately, they can sometimes be better at describing associated symptoms, such as bloating, diarrhea, and abdominal pain, etc. And older children can sometimes recognize when their symptoms are being caused by specific foods, including milk, fruits, or vegetables. In general, although foods get the blame for causing kids to have gas, you shouldn't restrict your child's diet unless you have talked with your pediatrician. Avoids those foods that you are sure are causing your child to have gas. Avoids fruit juices with high sorbitol content, including apple, pear, grape, and prune juice. Avoids foods that include artificial sweeteners, including sugar-free drinks, candy, and gum. Drinks almond milk or rice milk instead of cow's milk if he has a lactose intolerance. Eats slowly and so doesn't swallow a lot of air when he eats. A high-fiber diet, which is not common among kids, can lead to excessive gas. Since a high fiber diet is considered healthy, don't restrict the fiber in your child's diet until you talk to your pediatrician, even if you think it is causing some gas. Surprisingly, a high fiber diet can be helpful for those with irritable bowel syndrome and gas. Avoiding 'gassy foods' is usually the best treatment for kids with excessive gas. Simethicone is a popular treatment for gas that is often tried by parents with fair success. It is available in many forms, including Mylicon Infant's Drops, Gas-X, and Mylanta Gas Relief, etc. Beano, available as drops or a chew tablet, is a dietary supplement that is supposed to relieve gas associated with eating many high-fiber foods, including beans, broccoli, and whole grain bread, etc. If your child has a lactose intolerance, instead of avoiding cow's milk and other dairy product, it may help if he takes a lactase enzyme tablet to help him digest milk. Newer versions of these tablets, such as Digestive Advantage Lactose Intolerance Therapy, can even be taken just once a day. American Academy of Pediatrics Policy Statement. Committee on Nutrition. Hypoallergenic Infant Formulas. Pediatrics 2000 106: 346-349. American Academy of Pediatrics Clinical Reports. Melvin B. Heyman for the Committee on Nutrition. 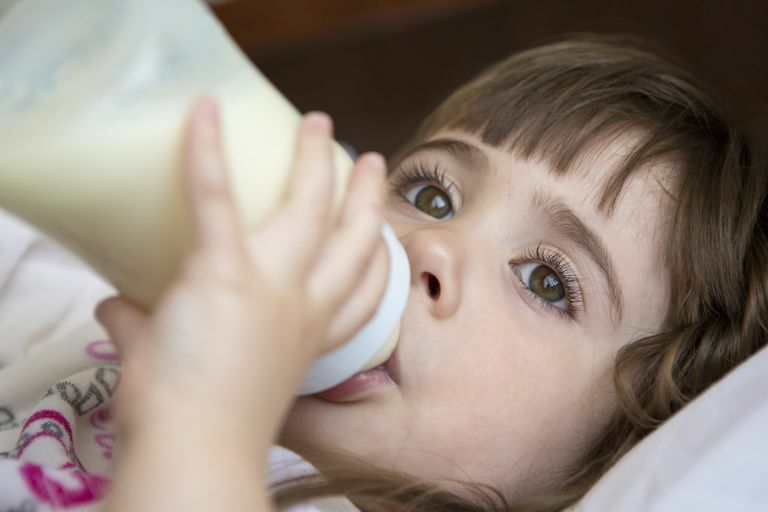 Lactose Intolerance in Infants, Children, and Adolescents. Pediatrics 2006 118: 1279-1286. Hyams JS. Irritable bowel syndrome, functional dyspepsia, and functional abdominal pain syndrome. Adolesc Med Clin - 01-FEB-2004; 15(1): 1-15.